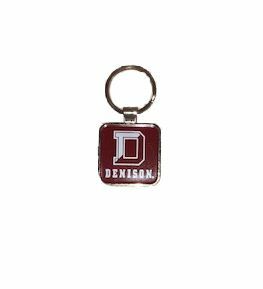 Organize your keys and show off your Denison University pride at the same time using this Denison D key ring. Perfect for alumni, students, educators, or family members. The key ring comes in Denison red and white. "